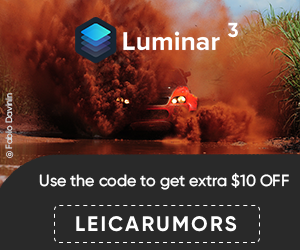 Interesting trivia: in May 2012 Leica Camera AG trademarked "M11" as an "instruments and apparatus, in particular photographic rangefinder cameras for analogue or digital still image recording, digital cameras". The "M10" name was trademarked back in 2010. 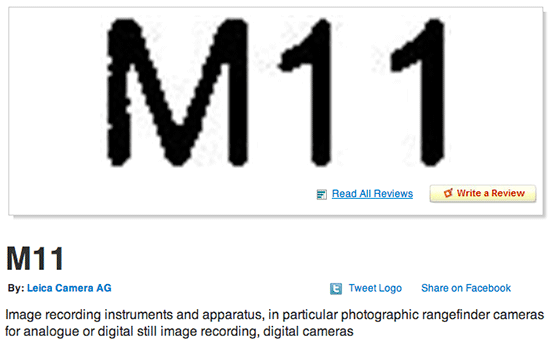 "On Saturday, May 05, 2012, a U.S. federal trademark registration was filed for M11 by Leica Camera AG, . The USPTO has given the M11 trademark serial number of 79113724. The current federal status of this trademark filing is PUBLISHED FOR OPPOSITION. The correspondent listed for M11 is Jan Stamer of Postfach 2604, 35536 Wetzlar, FED REP GERMANY . The M11 trademark is filed in the category of Computer & Software Products & Electrical & Scientific Products . The description provided to the USPTO for M11 is Image recording instruments and apparatus, in particular photographic rangefinder cameras for analogue or digital still image recording, digital cameras." This entry was posted in Leica M, Leica M11 and tagged Leica M11. Bookmark the permalink. Trackbacks are closed, but you can post a comment.